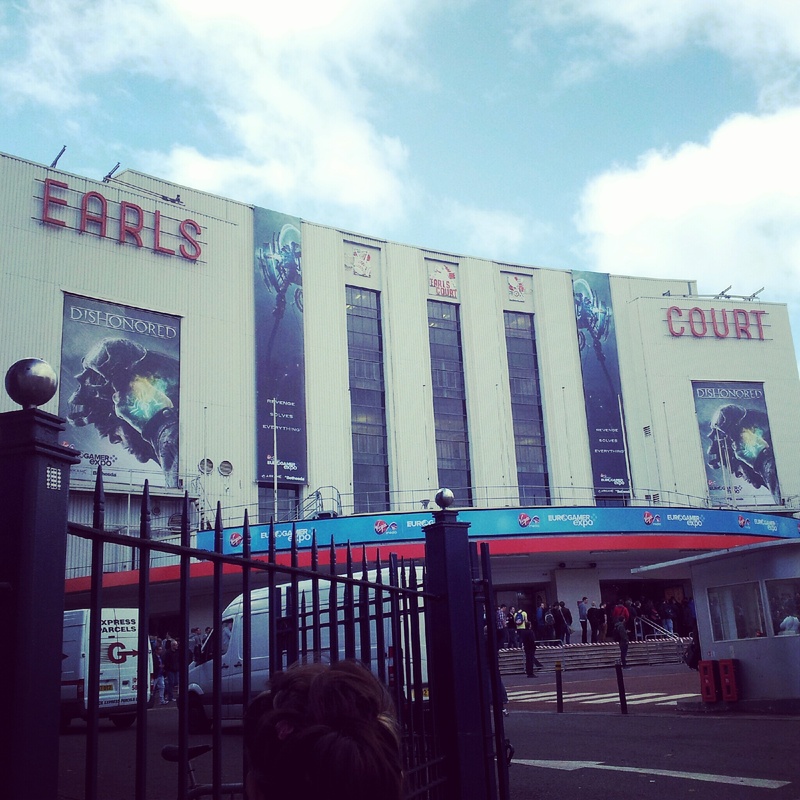 Eurogamer Expo 2012 was amazing. It was just as amazing as GAMEfest and the previous two Eurogamer expos I attended. Did anyone really think any different? Don’t be silly. I travelled to London the day before to attend the Women in Games Conference with a friend from work and stayed an extra day for the expo. It’s the first time I was let loose by myself to wander around (I admit it, I got so distracted by all the shiny games I forgot to meet up with my friend), which was an interesting experience. I’m normally a pretty shy person, so I would normally let other people do the talking or just sit and wait my turn. But I actually found being a lone girl wandering around that the people running the booths would come over and talk to me more whilst I waited and occasionally snuck me into queues (ZombiU WOO!!). I didn’t play everything because some of the queues were INSANE. I don’t even want to know how long the queue was for Black Ops 2, but let’s face it.. there was no point queuing for that when we all know it’s going to be pretty similar to the CoD before that.. and the CoD before that.. oh, and the CoD before that. But I played everything I wanted to. Here’s a run down of my top five games I played.. I wrote a guest post for Adam’s blog about the first part of the “The Walking Dead” episodic game. Check it out here! Usually, I don’t like writing about a game I haven’t completed yet, but I just can’t resist talking about Skyrim and.. well, I’m procrastinating. I’m only 30-something hours into the game and a measly level 21, and I’ve barely touched the main story quest! It’s glorious to play such an immensely deep game. And when I say deep, I mean it’s HUGE! The back stories!! The cities!! The locations!! It’s just so deep. What you’re about to read probably isn’t anything you haven’t heard before. Probably. Skyrim’s been out for so long everyone’s had something to say about. Even those who haven’t played it yet. “Oh it’s rubbish because it’s too long and there’s too much to do so I’m not going to play it.” You won’t believe the amount of times I’ve heard people say this to me.. and then turn around and moan they don’t get enough time value out of a game! Umm.. hello?! There’s never nothing to do in Skyrim! I remember daydreaming about the 300+ hours I would be spending fighting dragons. Which yeah.. can be daunting. But who cares, it’s Skyrim. (OK, another thing worth noting about this is it’s probably going to be really biased.) 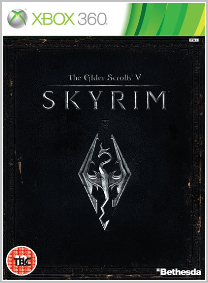 I don’t think I’ve ever once thought “Oh, I don’t think I’ll play Skyrim because there’s just too much to do.” Why? 1) It’s by Bethesda who can do no wrong in my eyes. 2) It’s an Elder Scrolls and I deeply love Oblivion. 3) It’s a fantasy RPG which lets me wave a sword around and shout really loudly at people. So the spending-too-much-time-on-a-game thing has never bothered me. Heck, I feel like I’ve been neglecting it by only having spent 30-something hours on it! 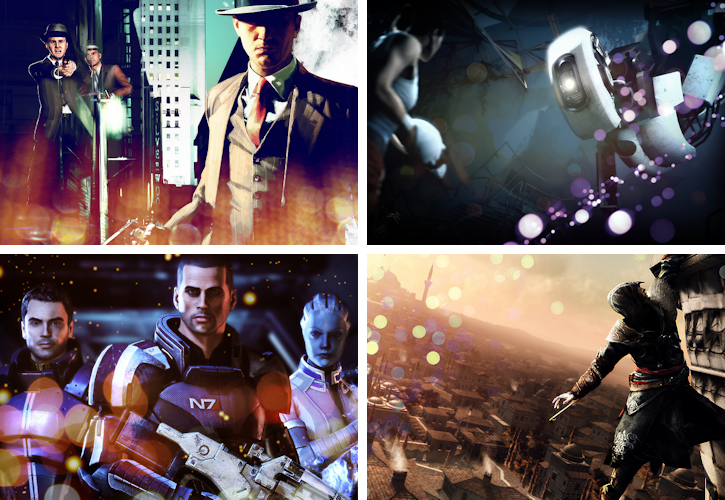 Click here to see my favourite games of 2011! Considering Call of Duty: Modern Warfare 3 was possibly more hyped up than all the previous Call of Duty’s, and took more than ever during the first five days (over $775 million), I expected more than what I got. “More than what I got”? That sounds like I bought it. HA! No chance. No offence Infinity Ward but I’m not spending £45 of my hard earned cash on a game I completed on Hardened in 8 hours. Yeah that’s right.. 8 hours, and that was with all 46 pieces of Intel. There’s no doubt it was a massively intense and action packed campaign, but it felt exactly the same as the past two Modern Warfare’s. I’m not one of those gamers who lives and breathes for Call of Duty. You know.. one of those. I worked the midnight release of Modern Warfare 3.. I saw PLENTY of those gamers. But I do enjoy a good FPS which makes me feel I’m a badass with a gun, and Call of Duty happily fills that slot. I’ve played every Call of Duty since the first one back on PC (yes.. I’m a hipster CoD player.. but that’s talk for another article), and I’ve enjoyed the way they’ve progressed. But I’ve always predominately been a single campaign player. Every now and again I’ve jumped on multiplayer with friends and giving all those zombies and 12 year olds a good beating, but there’s more to games than multiplayer. Which is something those gamers and even the developers need to understand. I haven’t even touched the multiplayer for Modern Warfare 3 and I don’t have the intention to. I don’t even care about playing Spec Ops on this one whereas I CANED it on Modern Warfare 2. So this review is going to be entirely about the single player campaign. Sorry.. I’ve never even prestiged once. I love zombies. I really do. I don’t know why. Cos I’m pretty sure I wouldn’t survive the apocalypse. I’ve got no upper body strength. So I enjoy living vicariously through video games, i.e Dead Island. I really enjoyed Dead Island to begin with. It was scary, has a great range of weapons and I liked the freedom and enjoyed the missions. Then after encountering so many bugs, and doing the same thing over and over again, I got bored. 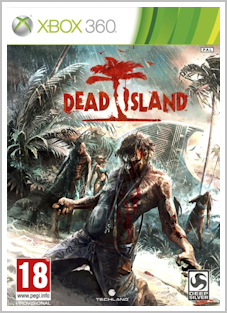 There’s four different areas in Dead Island to explore; the beach, the town, the jungle and the prison. Then within each of these areas are smaller areas like the police station or the resort. And then you get a number of side quests and story quests dotted about the world to complete in order to progress. These drag on. There’s only so many times I can be asked to find you canned food or alcohol. If you’re so desperate to find food, go out and find some yourselves!! I have an island to escape! An infected island! I’m sure there were some good side/story quests, I just can’t remember them for all boring, foraging quests I had to do! None of these I completed in co-op either. I turned that off as soon as I realised people could jump straight into your game and steal your kills and money! I’m sure the co-op is really good! Twitter seems to say some nice things. But I like to be warned in advance when someone joins my game! I’m planning a quick, second play-through for achievement sweeping.. maybe I’ll allow people to join my game then? Maybe. Sat in a computer lab. Surrounded by cheering programmers. Solving puzzles and playing with physics. It was a couple of days before the release of Portal 2 when I completed Portal for the second time. Although a fairly short game (it only took me two hours), the prequel to Portal 2 was an absolutely fantastic masterpiece. It was funny, innovative and had just that right amount of difficultly to make it satisfyingly frustrating. Valve are geniuses. So does Portal 2 live up to the high standards set for it. Umm.. YES, duh. It’s better. Much better. You don’t just interact with GLADoS, the hell-bent, science-crazy AI, but Wheatley, BRILLIANTLY voice-acted by Stephen Merchant. (OMG, Nolan North voices some characters too!!!) You delve deep into the vast caverns of Aperture Laboratories, where you’re held as a captive test subject. Learn its history. GLADoS’ history! Even a bit of Chell’s history! I couldn’t put it down. As I’m still making my way through the co-op campaign (which is as much a delight as the single campaign), I’m not going to talk too much about. Not when I have plenty to say about the single campaign! If you haven’t played the first game, you should still be able to dive straight into the storyline and not feel so lost. Wheatley does a lot of explaining for you about what happens in the first game.. minus the cake. Yes.. there’s still no cake. There’s something better. But I’m not going to tell you what. Spoilers. 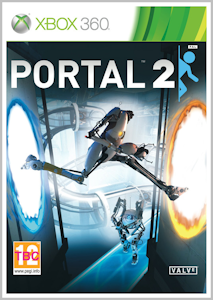 The storyline revolves around you having to solve GLADoS’ many, MANY test chambers. And there are ALOT of test chambers. But you also have alot of alternative areas to make your way through too. I’m not going to go into detail about any of them, because discovering them for yourself is amazing. For a lot of the “story sequences” when I would transition to new places, or a character would do or say something, I was sat with my mouth hanging open. And experiencing them for yourself is much better than reading them on some girl’s blog.